You’ll pay a premium for the latter models of Tesla, but let’s explore the pros and cons of each. With the Standard Charging System that comes with all Tesla vehicles, the most efficient and popular option is to install a specialized NEMA 14-50 outlet which is used with the standard charging cord that also comes with all Tesla cars. Alternatively, you can opt to install and use the Tesla Wall Connector, which some people do because they like the modern look and prefer the permanency of the unit. 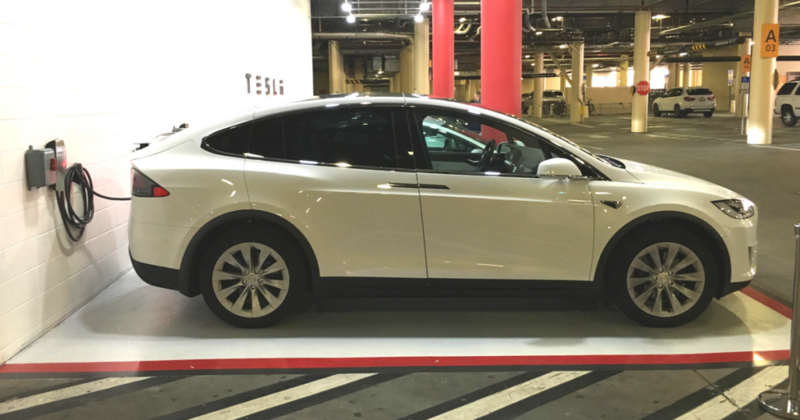 When used to charge a Tesla vehicle equipped with a standard charging system, the Wall Connector will provide only a moderate boost in charging rate. Most consumers in this category choose not to go the Wall Connector route, as they hesitate to invest in the unit (which starts at about $500.00) as well as the installation fees just to achieve that small increase in charge time. Tesla Motors offered their customers the option to select a High Amperage Charging Feature on 100D or P100D models. These models are obviously quite a bit more expensive, so you end up paying more to have this enhanced charging capability. For families with a shared vehicle or where vehicle charging time periods are going to be limited, this truly will come in handy. With this enhanced charging feature, the Tesla Wall Connector is necessary to realize the faster charging rate. You can use the NEMA 14-50 outlet mentioned above, but the charge time will be the same as if you didn’t have the high amperage charging feature installed. Frankly, if you’re going to pay a premium for this enhanced charge time feature, it would be a waste not to invest in a Wall Connector. If your home electrical system or panel can’t handle a NEMA 14-50 outlet (50 amps) or Wall Connector (90 amps), it is Gulfstar’s practice to talk with each customer and determine the best way to proceed safely and according to the National Electrical Code (NEC). The benefit of the Tesla Wall Connector in these kinds of situations is that the unit’s amperage output can be set to fit the needs of your home electrical system, even dialing all the way down to 15 amps if needed. This is a flexible feature and a benefit of the Wall Connector as a charging option. In addition, Tesla has made a wide selection of adapters available on their website (starting at $45.00) so you can adapt your car’s charging system to nearly any 20-30 amp power supply. Nearly every EV customer we talk to still has a long list of questions even after being educated by their owner advisor (a Tesla salesperson) and doing personal research. That’s ok! We love answering questions and helping customers find the right Tesla home charging system for their condo, apartment or house. If you have questions or even if you don’t know where to begin, just give us a call and we’ll be happy to help. Contact us via the contact form on this page, or call 727-755-1805!